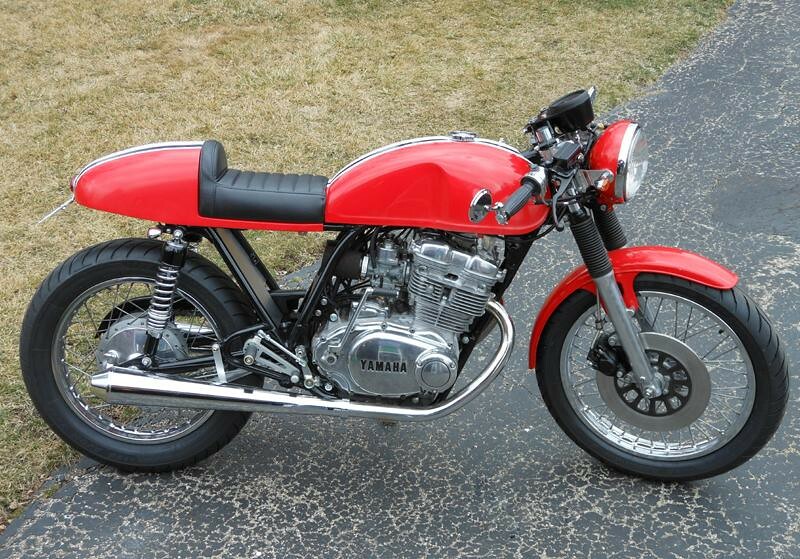 Dean's '74 TX500 may have not been made in the land of pizza, wine and olives. But any Bolognese bike lover would say "Bella motocicletta!" 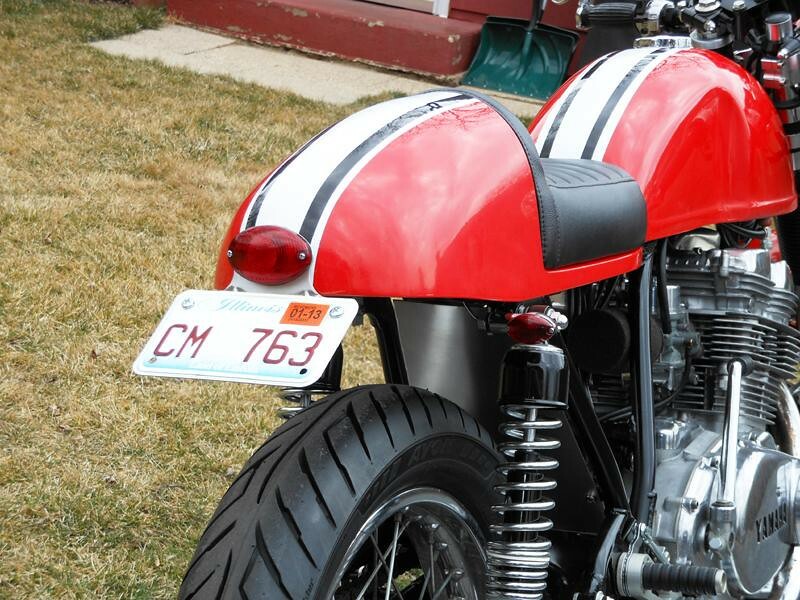 to his Italian inspired bike. 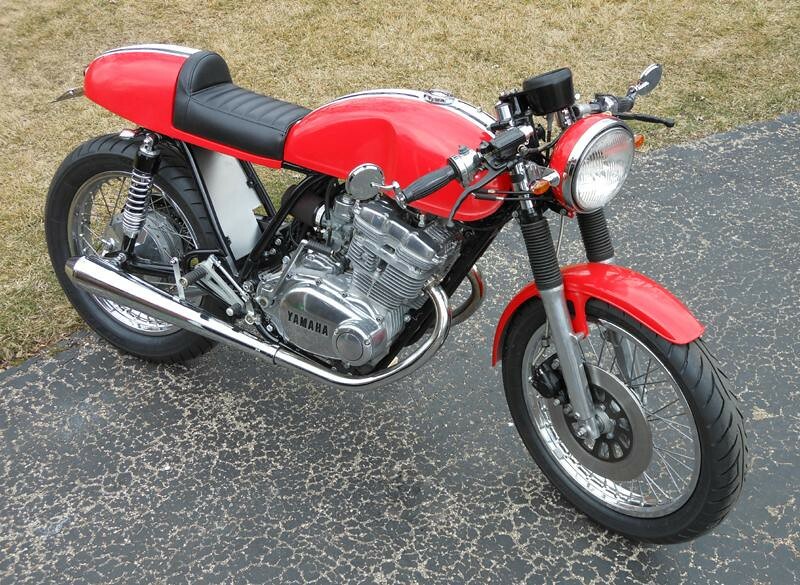 The build is of course a theme,,, if Yamaha made a replica of a late 60's Italian bike...... this is it. I am happy with the result. 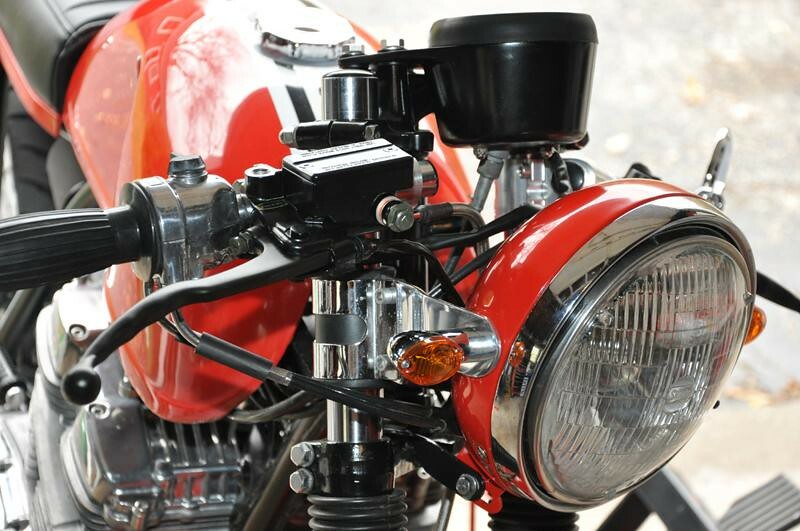 That is the stock 7" headlight, lowered and mini bulb turn signals ( no led's on the bike ). 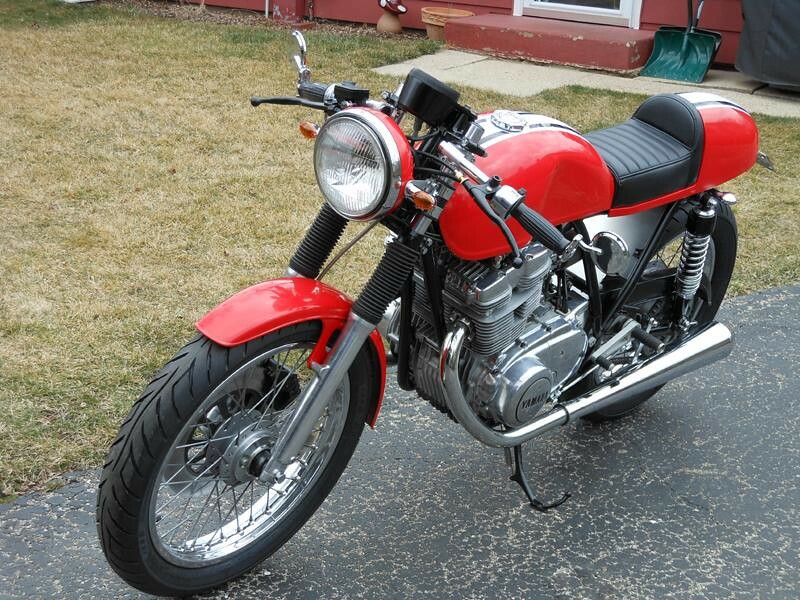 My '74 TX500 was a November 2010 craigslist find from Kenosha, WI about a half hour from me. 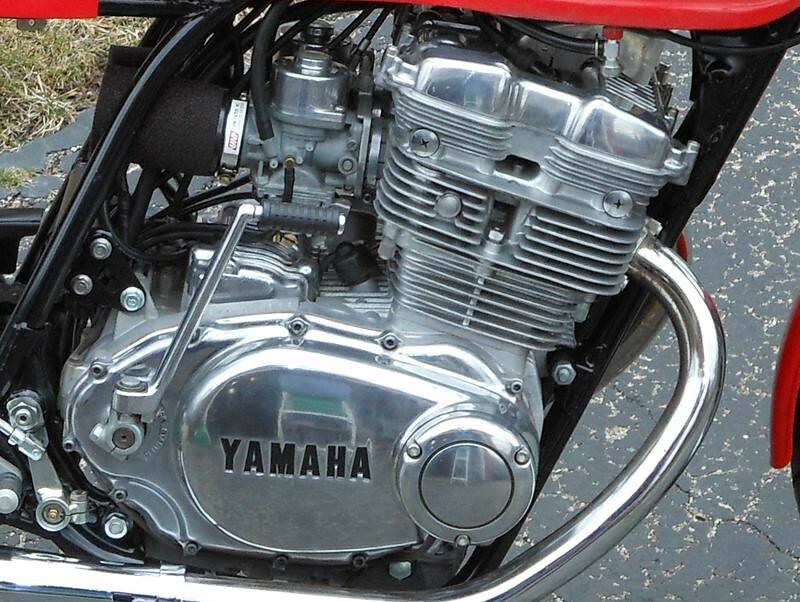 The seller had it listed as a "yamaha 600" ...( It is bit embarassing to say... I had to look at google images to find out what the heck it was ! ) So I went and drug it home for $200. It had good compression , a title, and less that 7k miles so I had found a good deal. It is Corsa red ( Lancia racing red ) with LeMans stripes painted in white and black, then cleared. 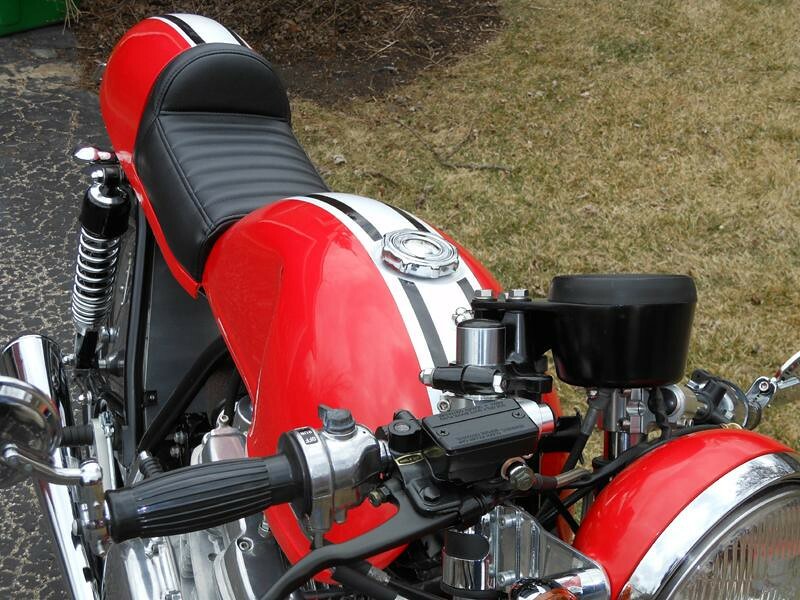 The head pipes were modified to keep the mufflers low , the upswept angle of the stock pipes was not vintage Italian. 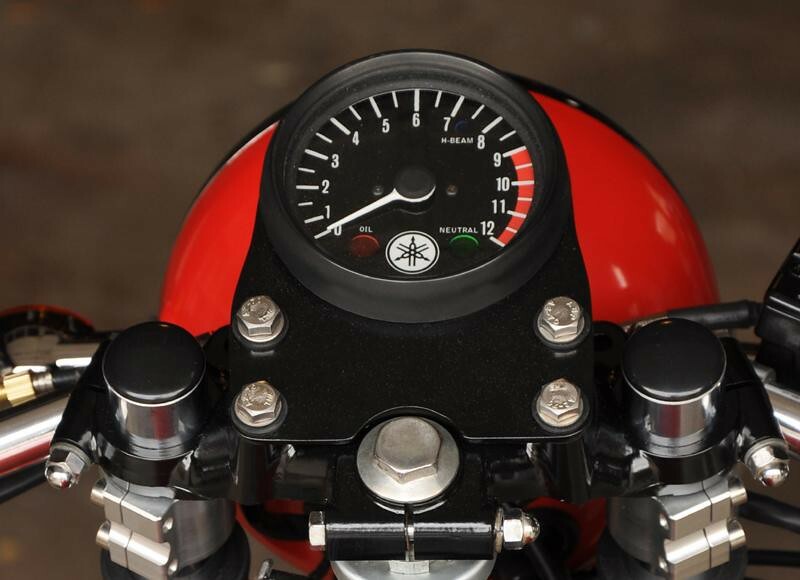 The fuel tank is the garden variety vintage Benelli . 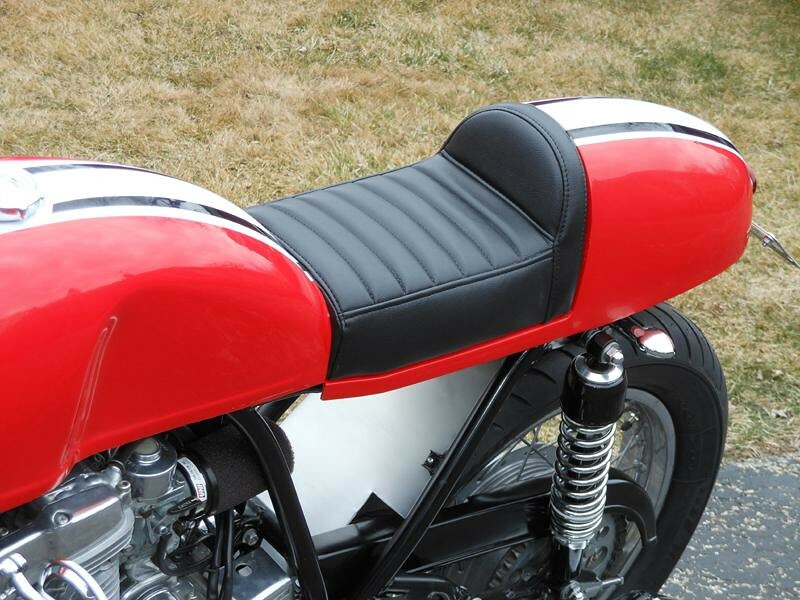 I made the custom seat cowl, seat pan, under seat electronic compartment ( to hide everything ) and the tach bucket and mount all from fiberglass. I restored most all of the nuts, bolts and hardware ( zinc plated ). 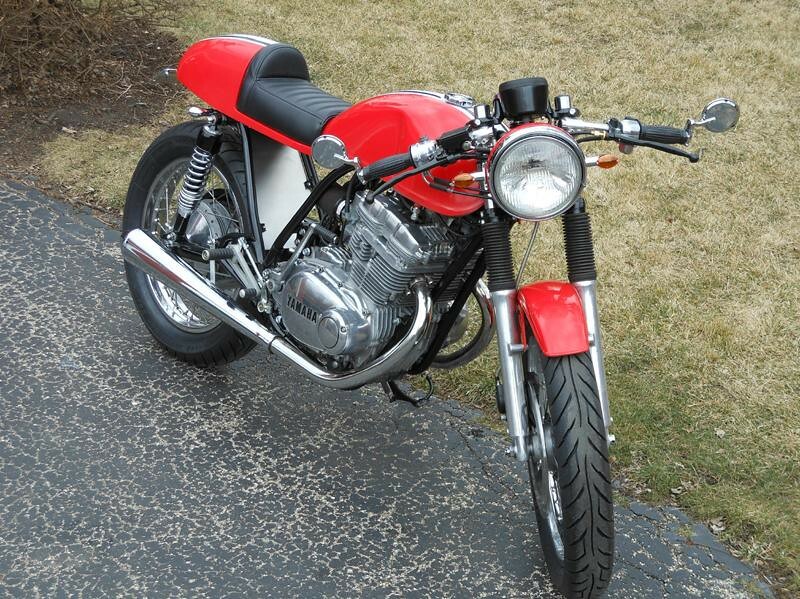 The front master cyl is from Mike's, almost as cheap as a rebuild kit so I also bought the clutch lever. I made the headlight tilt bracket , rear turn signal brackets, exhaust hangers, battery bracket, etc all from 1/2" aluminium flat stock. I removed the un-needed brackets and tabs. The rear-set mounts and fuel tank brackets are all I had to weld on. The engine is stock, I just bead blasted the cases and polished every cover. All new seals, gaskets and proper adjustment checks were done. I run the stock Keihin carbs , tuned for the uni-filters. The wheels are stock, I just "restored" them, new seals, bearings, some polishing and wrapped in Avon road riders ( love them). Bronze swing are bushings, rebuilt front caliper , new pads in front and shoes in back. Did I mention all of the metal polishing?